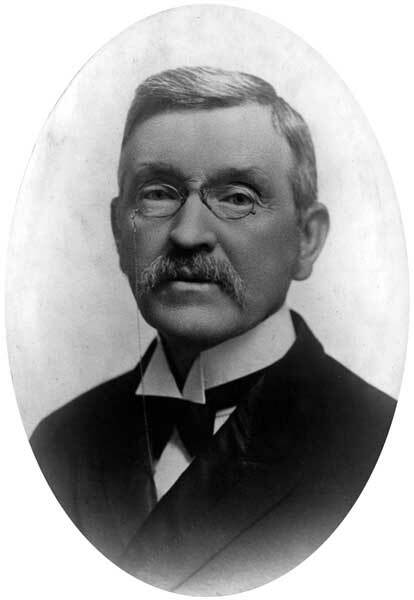 Lawyer, MLA (1882-1883), MLA (1884-1885), judge. Born at St. Urbain, Chateauguay County, Quebec on 21 November 1853, son of Lieutentant-Colonel J. M. Prud’Homme and Marguerite D’Amour, he studied law, Advocate (P.Q.) October, 1879, becoming a Barrister at Manitoba in 1881. He practised law in Manitoba until his appointment to a County Court Judgeship. He was a well-known literateur, having edited L’Avenir de Beauharnois from 1875 to 1877, and contributed articles on Manitoba and the North West Territories to La Revue Canadienne, L’Opinion Publicque and La Nouvelle. He wrote The History of Manitoba and Northwest Territories, published in the Archives of the Royal Society of Canada. He wrote Notes Historiques sur la vie de Pierre Radisson, 1891. He was subsequently on the editorial staff of Le Metis and Le Manitoba newspapers. In 1880, he married Appoline C. Henault (?-? ), daughter of H. B. Henault, with whom he had two sons and five daughters. He served as Captain of the 64th Battalion for ten years, and was appointed Captain of the St. Boniface Infantry Company in 1880. He was a member of the Royal Society of Canada, St. Jean Baptiste Society of Manitoba (President), and St. Vincent de Paul Society (President). Acclaimed as the representative for La Verendrye in the Manitoba Legislature in 1882, he was defeated by Maxime Goulet in the 1883 general election, then re-elected at a January 1884 by-election. He died at his St. Boniface home, 711 Rue Saint Joseph, on 1 March 1941.